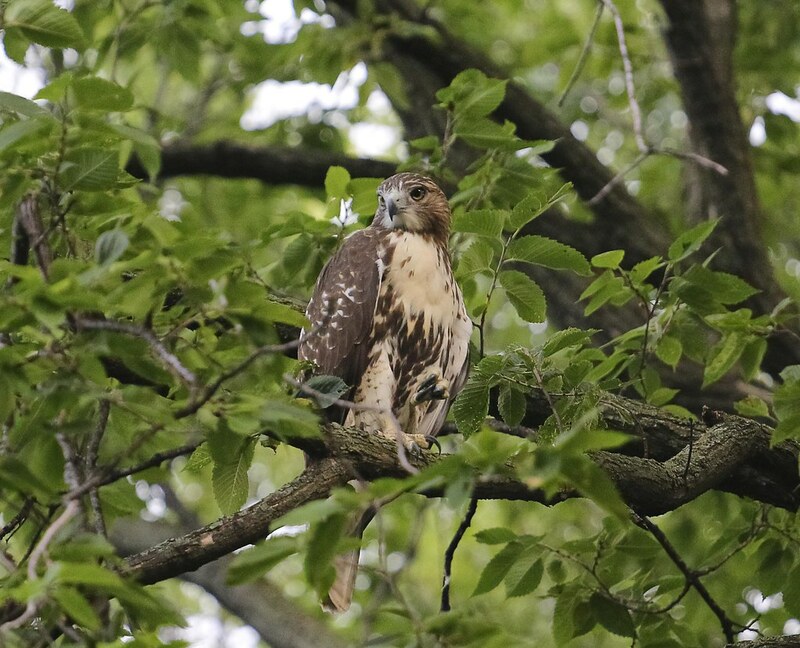 I continue to see one hawk fledgling in Tompkins Square, although the sightings are becoming few and far between. 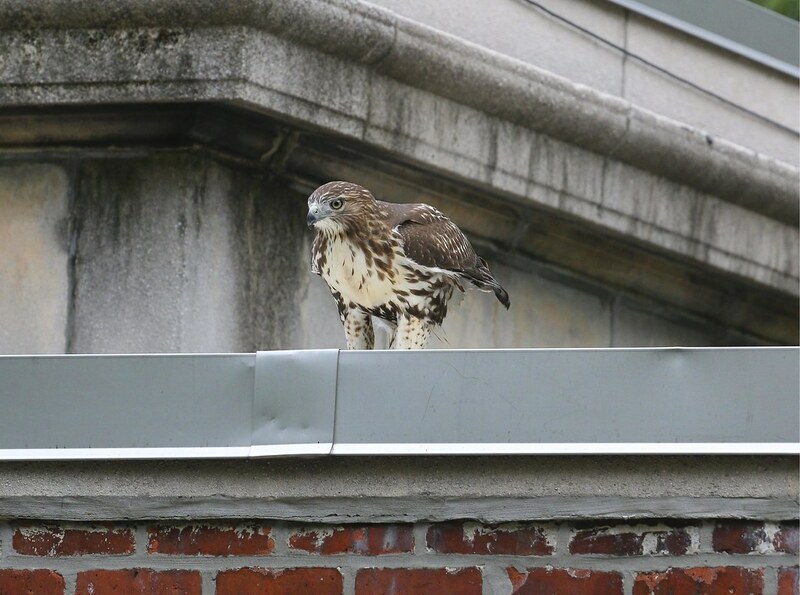 Most often, I can glimpse one prancing around on top of the Christodora building at Avenue B & 9th Street. 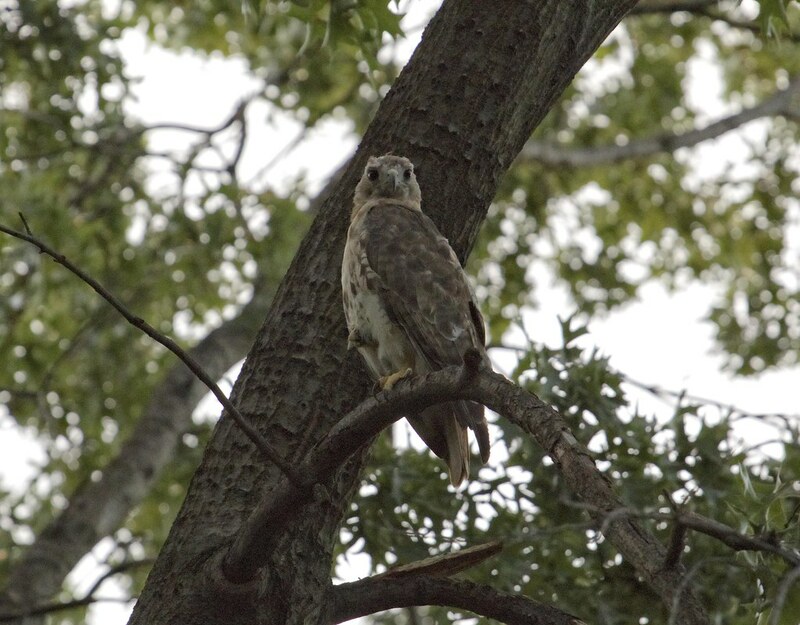 On Friday evening, I lucked out and had a close encounter with a fledgling in the northeast quadrant of the park. 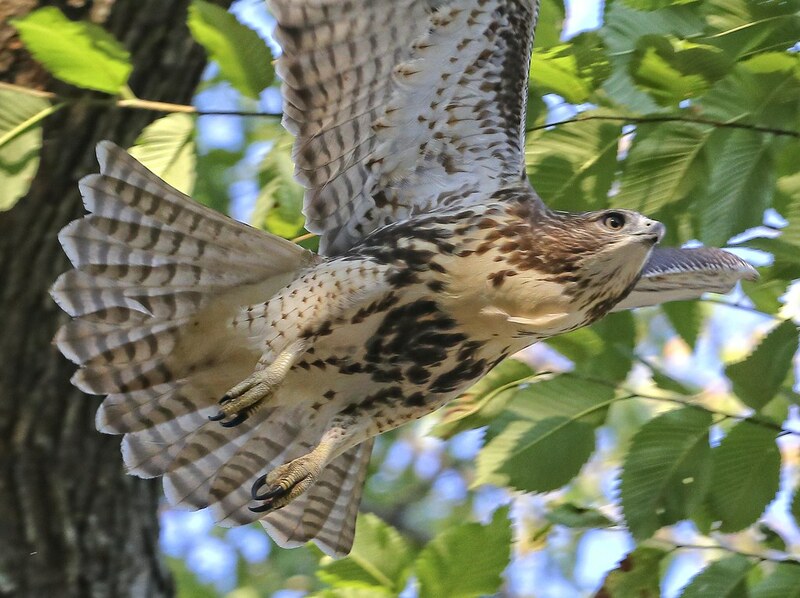 After staring me down from the honey locust tree near the 9th Street entrance, the hawk made a slow-motion dive to the shrubs below where squirrels ran around on the ground. It came up empty-taloned and flew along Avenue B. 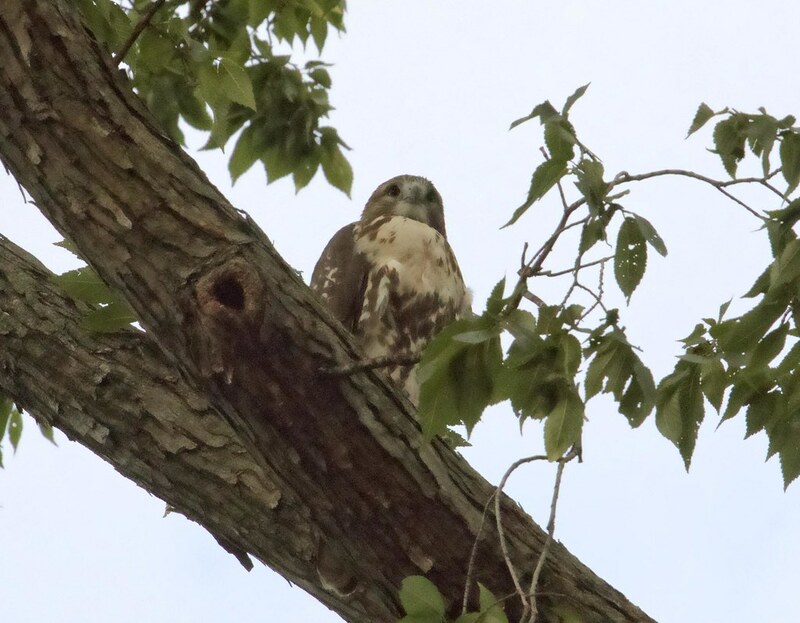 The hawk perched on a branch right over the park entrance, but didn't seem to be that interested in hunting. 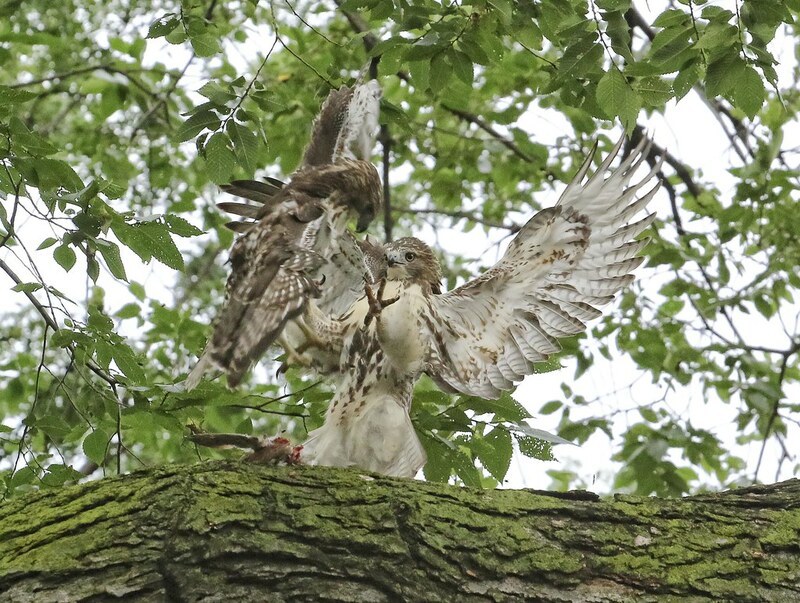 Hawk activity in the park has really dropped off since the fledglings have learned to take care of themselves. Christo makes an appearance once in a while, but it's the summer slump when hawk-watching is kind of boring. 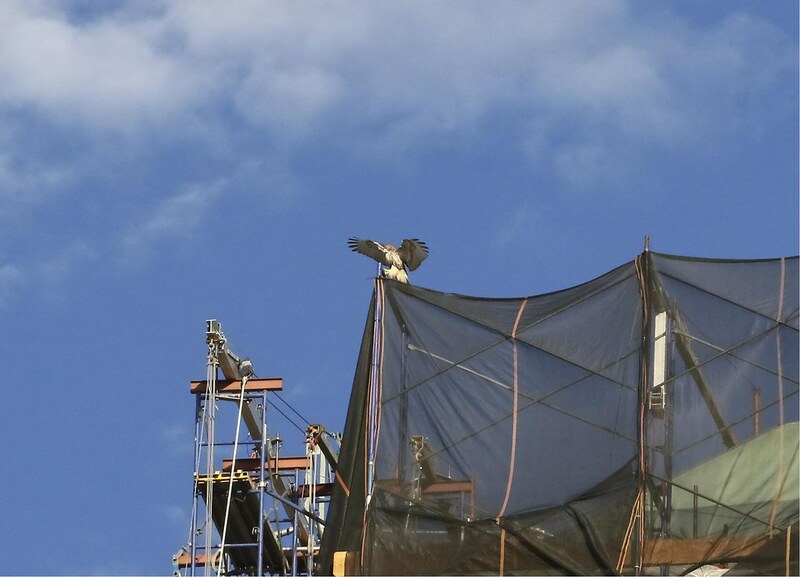 I see Dora perched on the dome of Most Holy Redeemer church on E 3rd Street a lot, and I see both her and Christo on their Village View chimney at 1st Avenue & 4th Street, but that's about as exciting as it gets. Maybe fall migration will bring us some interesting travelers. Every summer, I complain about the heat, but this last weekend was undeniably brutal. I try to get to Tompkins Square every day, no matter the weather, but this last heat wave really wiped me out. 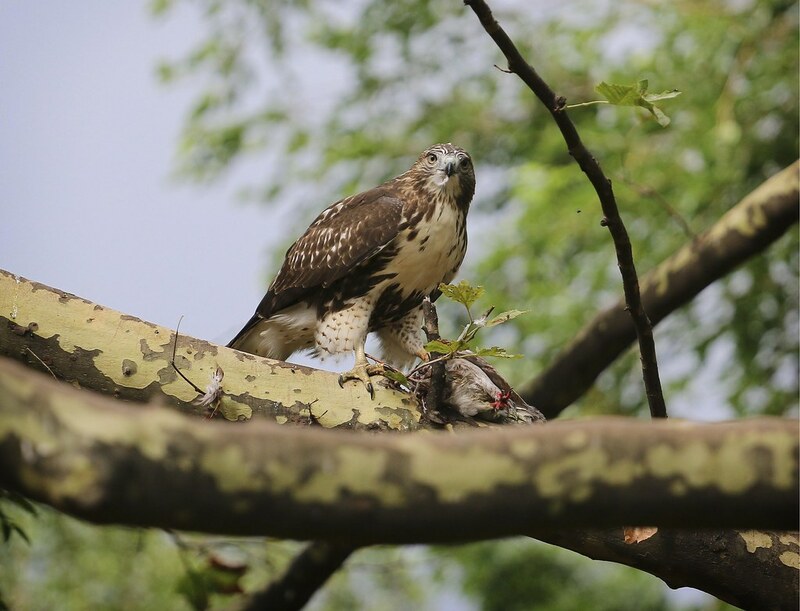 There hasn't been much hawk action in the park as the fledglings are now independent and the sweltering heat likely keeps them from exerting much energy during the day. 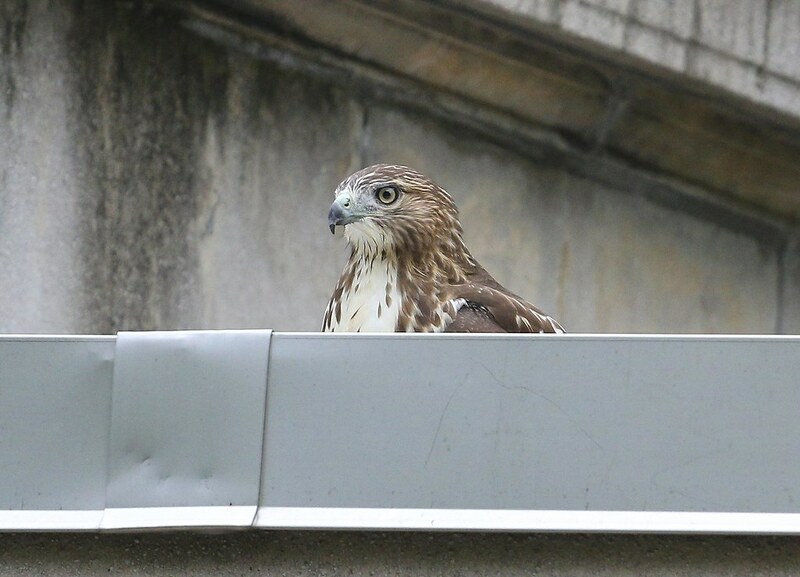 I have, however, been seeing one fledgling late in the day, sometimes accompanied by dad Christo. 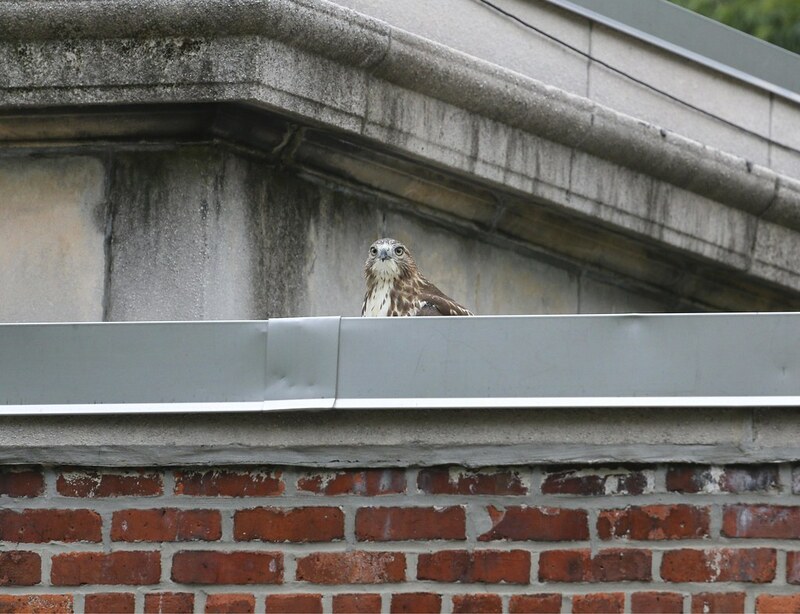 Last Friday and Saturday, the fledgling showed up to take a bath in a puddle on the roof of the men's room. 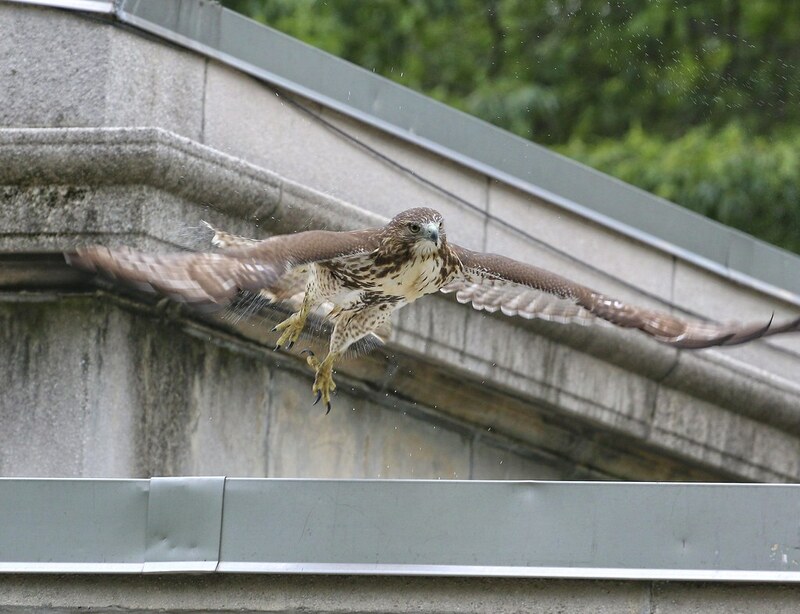 At the time, the sprinklers were on behind the park offices, so why the hawk opted to soak in the warm fetid pool rather than the nice refreshing spray is anyone's guess. It just goes to show the birds don't think like we do. 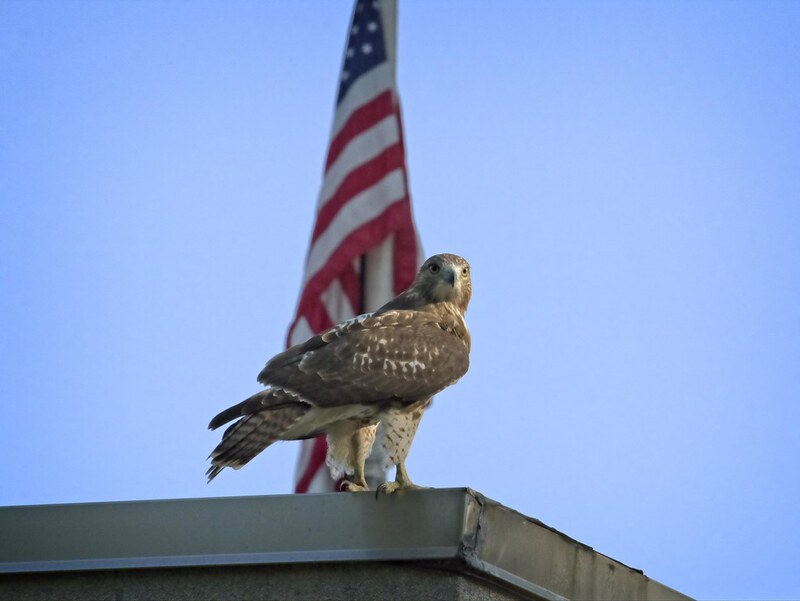 When the hawks are on the roof, they can really disappear. If I hadn't seen the hawk fly up there, I might not have known it was there at all. 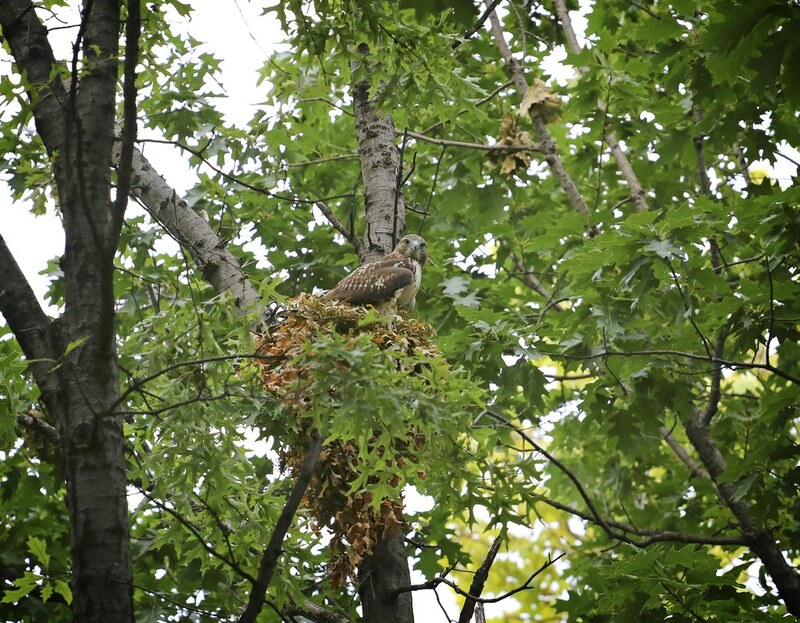 After the spa session, the hawk spent a good deal of time lounging around on this squirrel nest that hangs right over the sprinklers. Then it flew a few trees over to another squirrel nest. No one was home at either location. The hawk didn't appear to be hunting. 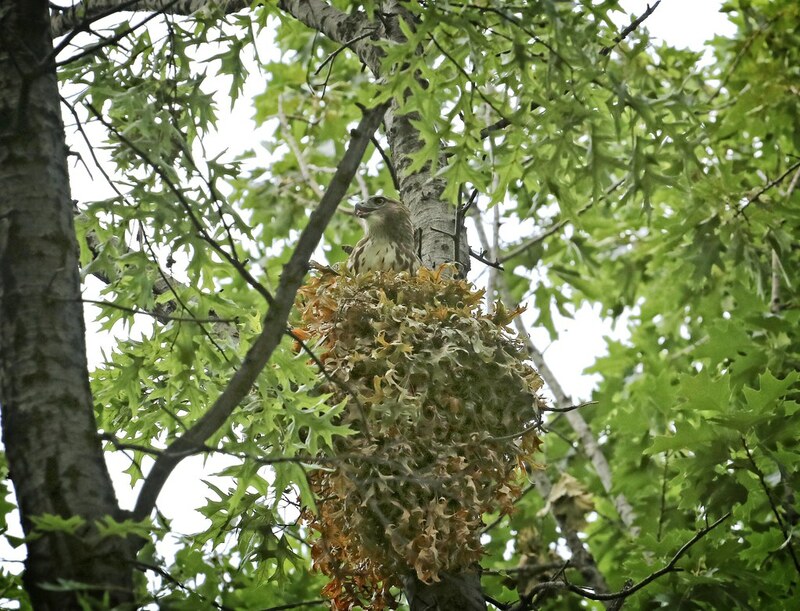 Sometimes the squirrel nests are used by the hawks as places to stash food, so the fledgling could have been scavenging for snacks, but I don't really know. I love the color of their eyes at this age, which is bright lemon yellow. Please now turn your attention to the Winners Podium to see this fledgling claim a gold medal in the 2016 Summer Hawk Olympics. 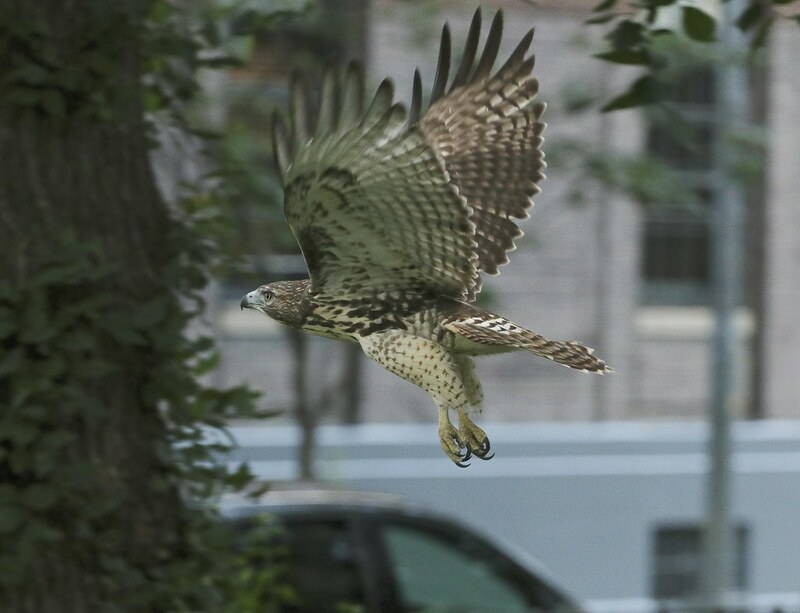 After being spoiled with so much hawk action over the last several weeks, the last few days have seen a sudden drop in hawk entertainment in Tompkins Square. 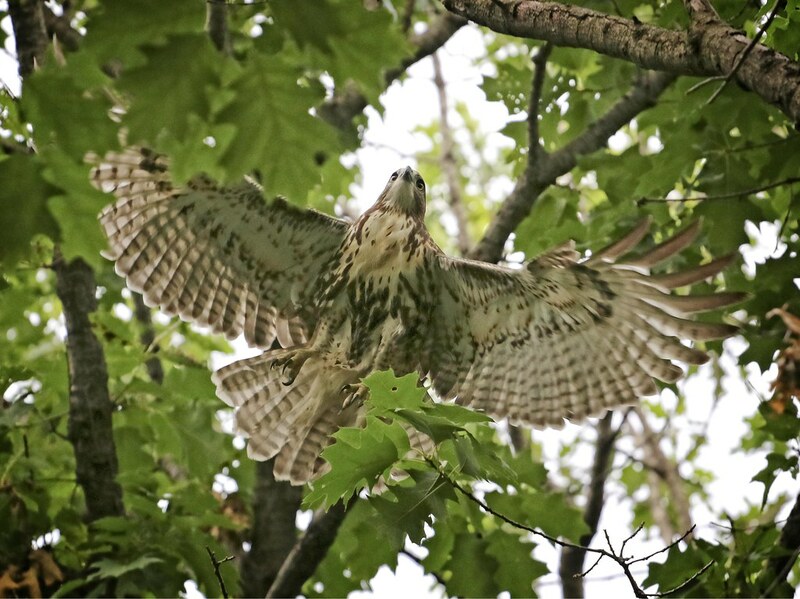 Once the fledglings are able to feed themselves, there's nothing to keep them from flying off to explore the world, and we may be reaching that time with our current hawk family. Last night, I did catch Christo and one of the fledglings in the park just as the sun went down. The fledgling perched in the Krishna tree and cried until Christo showed up. 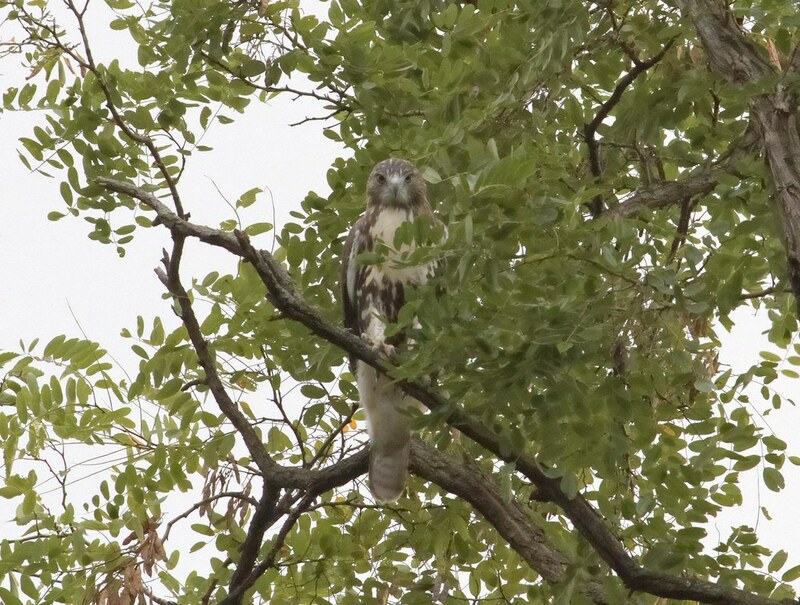 They then sat quietly in neighboring trees for about an hour and eventually I had to leave as it became dark. 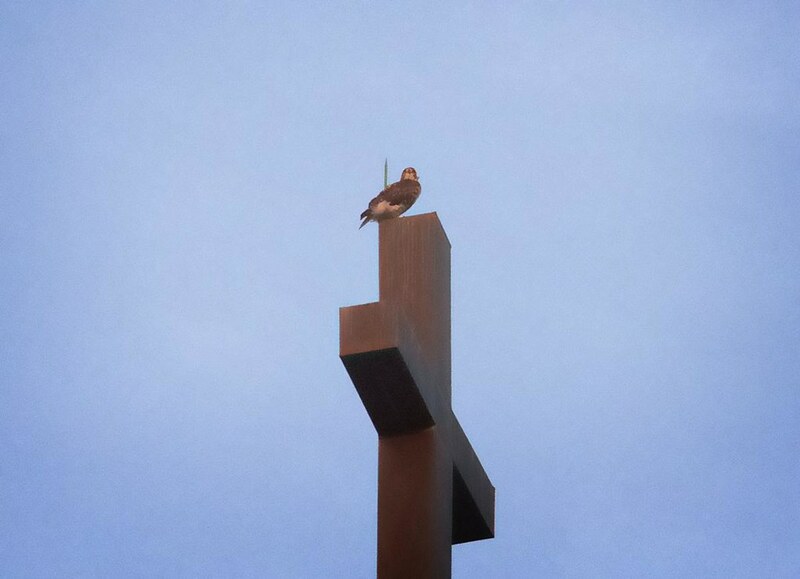 Late in the evening of August 4, I saw one of the fledglings perched atop Most Holy Redeemer church on E 3rd Street. This is the furthest from the park I've seen any of the fledglings venture (so far). On August 7, one of the fledglings caused a stir at Avenue A & 3rd Street when it flew into a window and went to the ground. Fortunately, it appeared to be all right. It's good to know so many people are looking out for the birds. 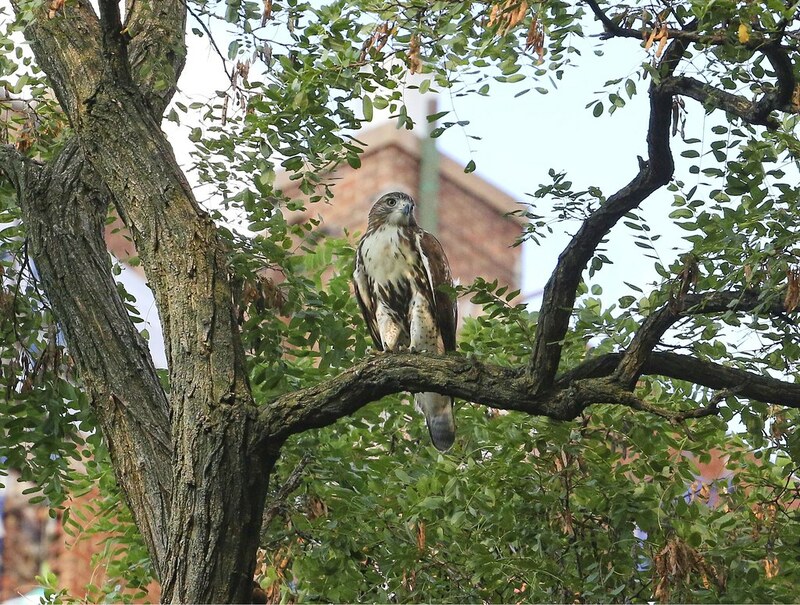 Looking back at the last two years, my last sightings of Tompkins Square fledglings were in August/September. In 2015, my last sighting (in the neighborhood) was the first week of August. 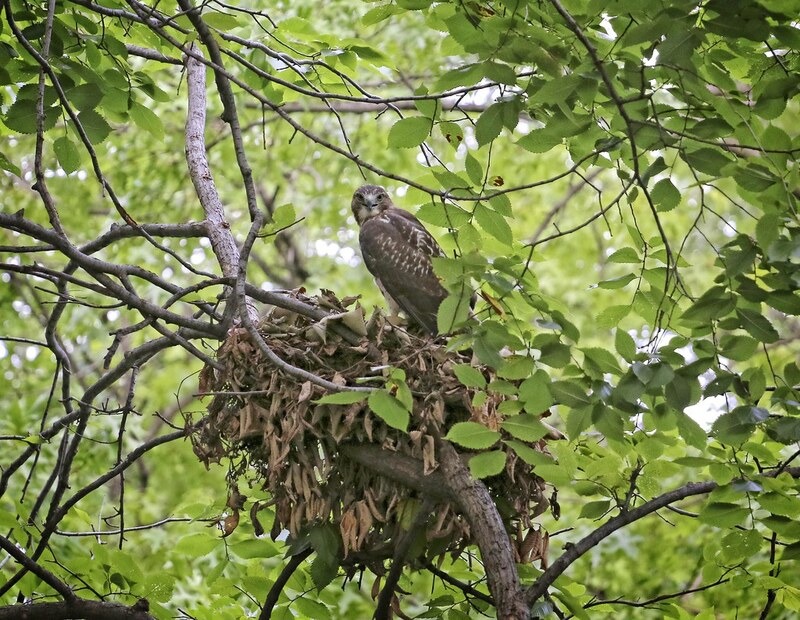 That year was notable because the hawks nested on an air-conditioner at the Ageloff Towers at Avenue A & 3rd Street, and the fledglings never spent that much time in the park. 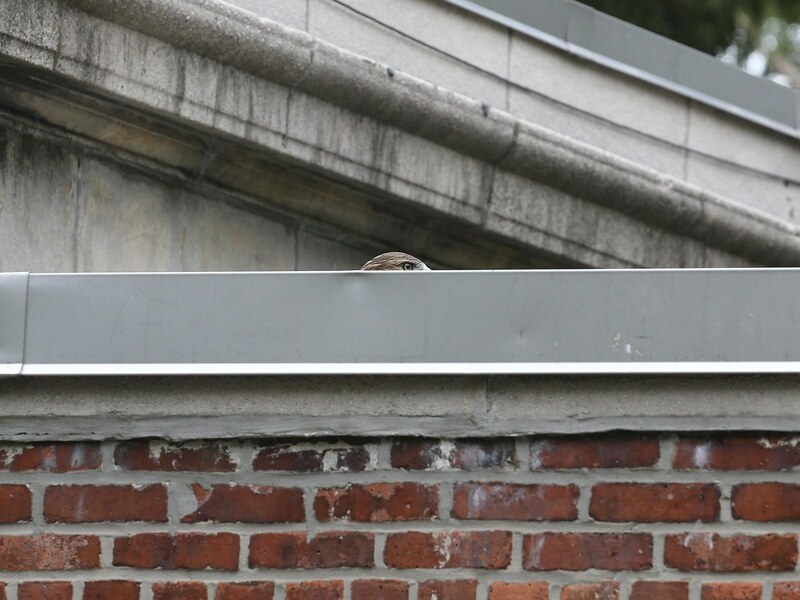 In 2014, they nested on the Christodora House at Avenue B & 9th Street, and did spend a great deal of post-fledge time in the park. 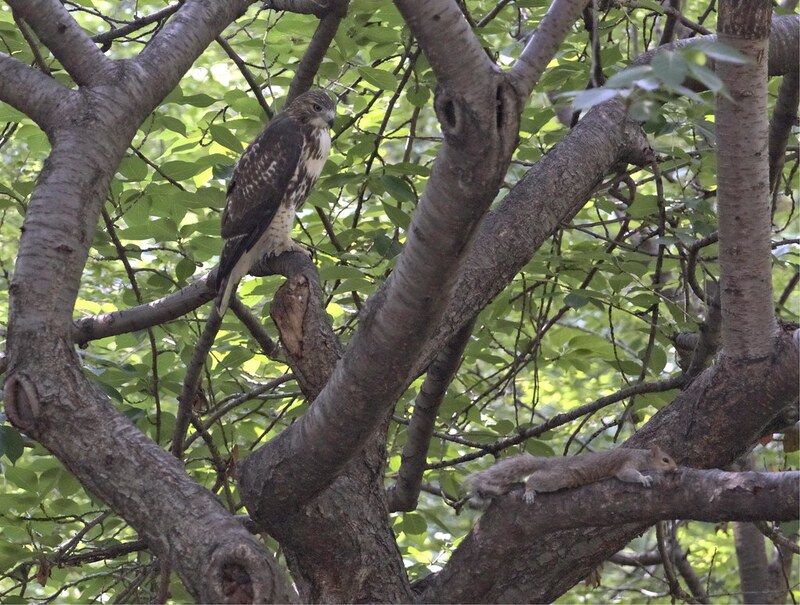 My last sighting of the older two fledglings in the park that year was August 1. 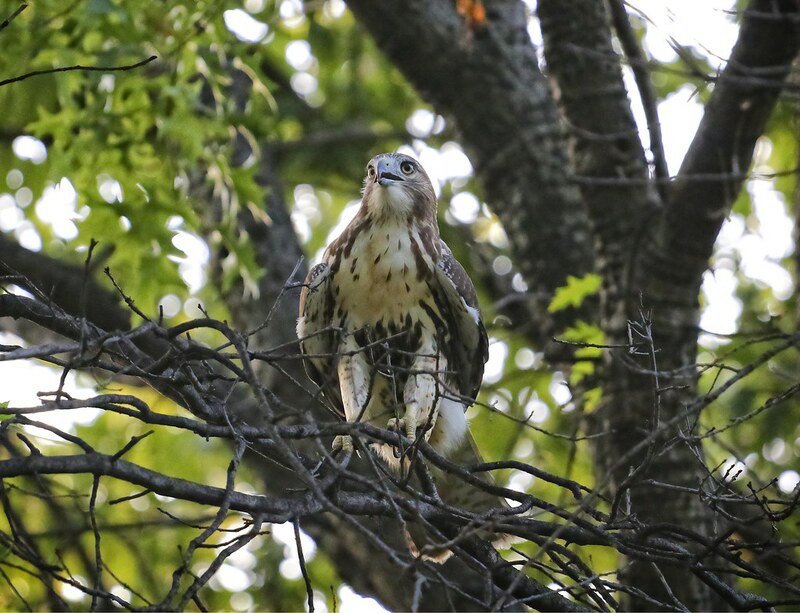 The third hawklet, who stayed in the nest a whole six days longer than its siblings, hung around Tompkins Square until September. 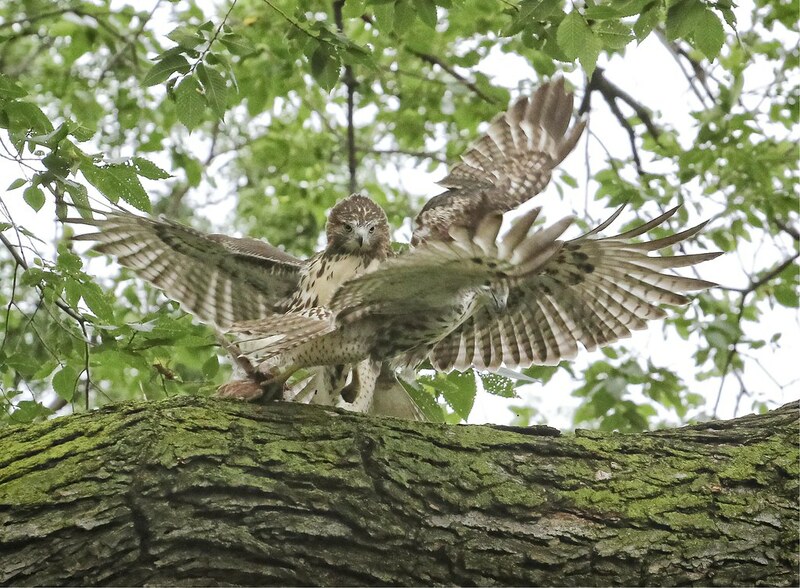 The hawks had a head start on nesting this season and the babies hatched 1-2 weeks earlier than previous years (first hatch for 2014 was May 8, 2015 was May 1 and 2016 was on/before April 23), so they are due to leave town any time. 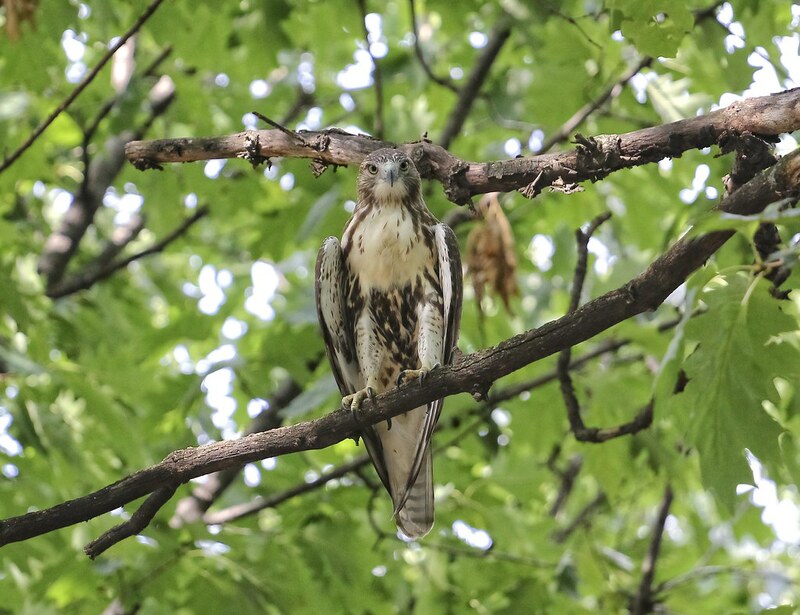 This summer has been such a treat watching the young hawks play and learn to hunt in the park. We've learned so much from them and I am so happy to have been able to share the experience. May good luck be your friend in what ever you do, and may trouble be always a stranger to you. 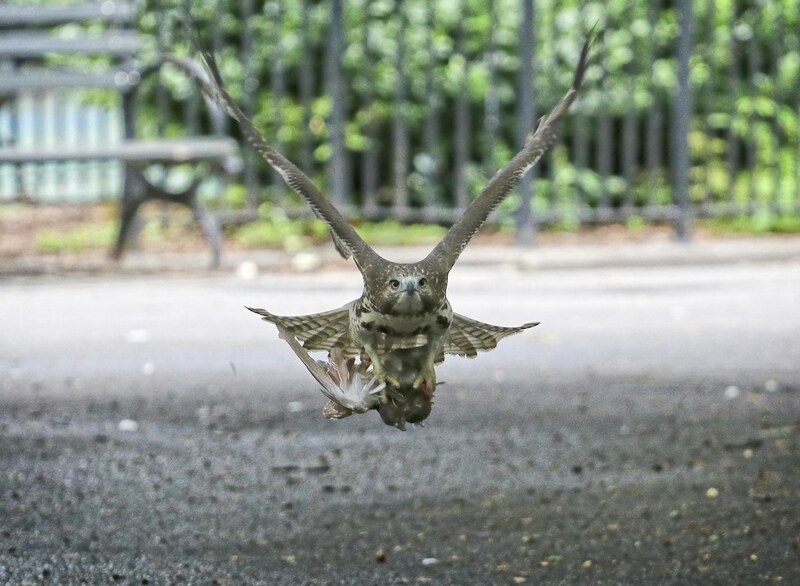 After striking out trying to catch squirrels on Sunday afternoon, one of the Tompkins Square hawk fledglings succeeded in catching and killing a pigeon. 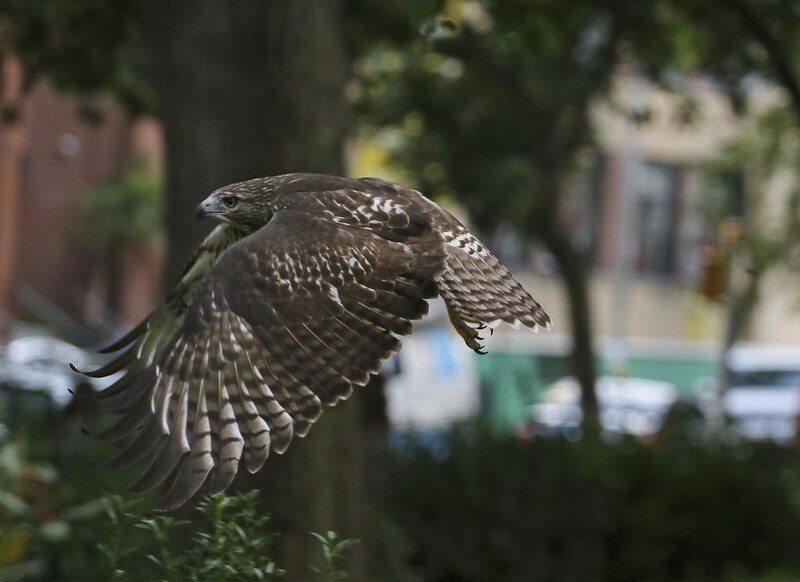 I'm not with the hawks 24/7 to confirm this, but as far as I know, this was the first pigeon catch for this hawk. 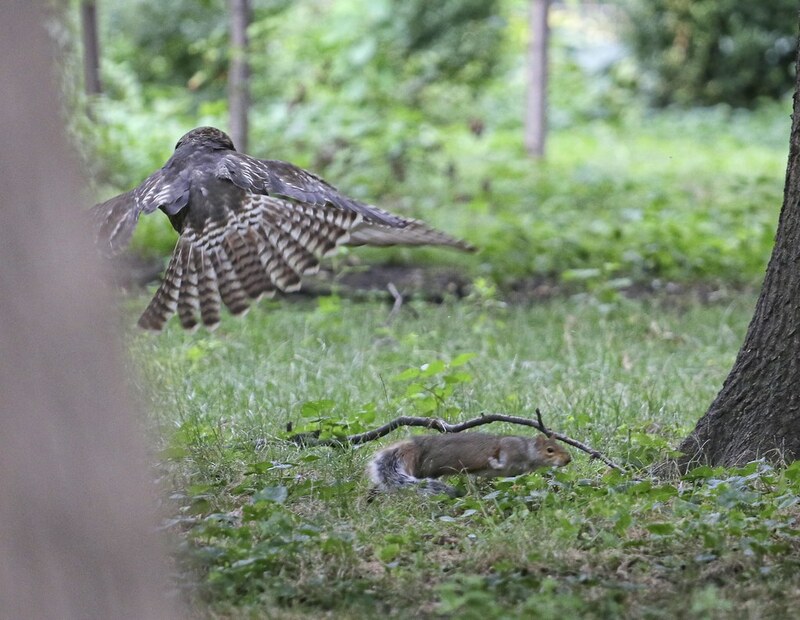 And, judging by the inexperienced way the hawk dealt with ushering the pigeon out of this realm, I am inclined to think this was the hawk's first time. Warning: there is a gruesome photo further down the page. 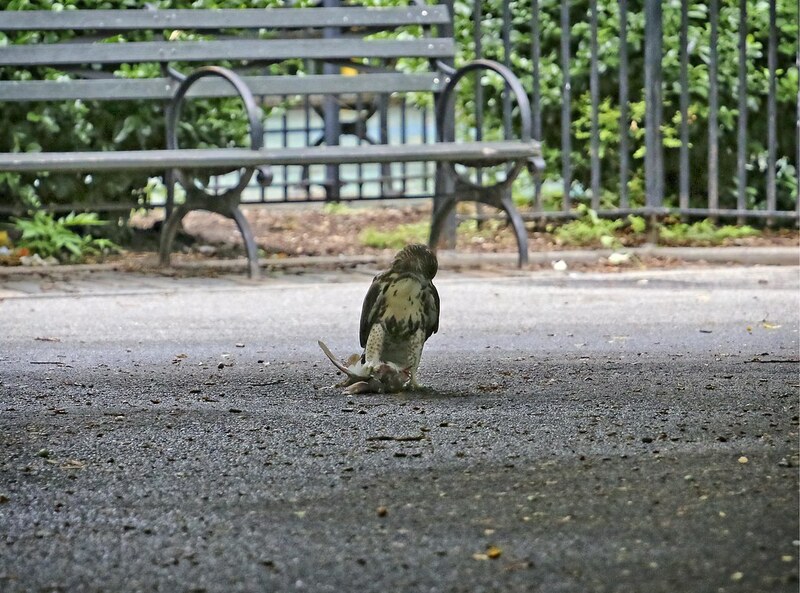 Around 4:30pm, the hawk nabbed the pigeon on the path near the Avenue A playground. It remained on the path for a few seconds before flying the pigeon into a nearby tree. 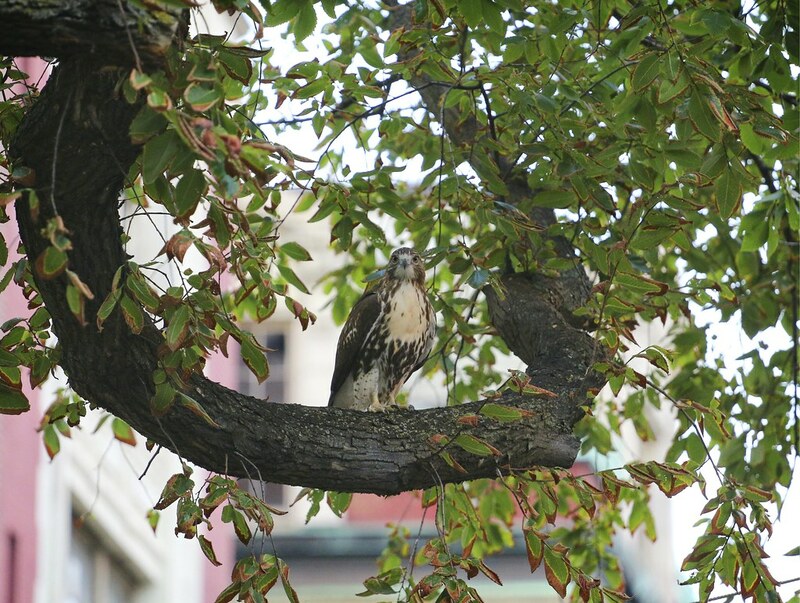 That branch wasn't suitable, so the hawk took the pigeon over to a tree next to the farmers market along Avenue A. When it landed, it became obvious to onlookers that the pigeon was still alive. The pigeon struggled for several agonizing minutes. 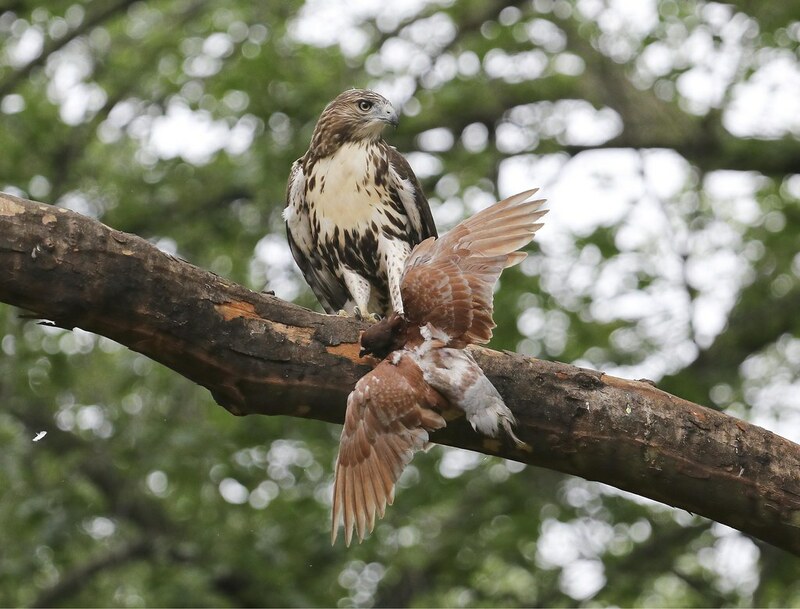 The hawk had the pigeon by the back of the neck and couldn't manage to quickly put it out of its misery without loosening its grip. This was hard for me to watch as I like pigeons and it's difficult to see one suffer. But, this is how the hawk learns. 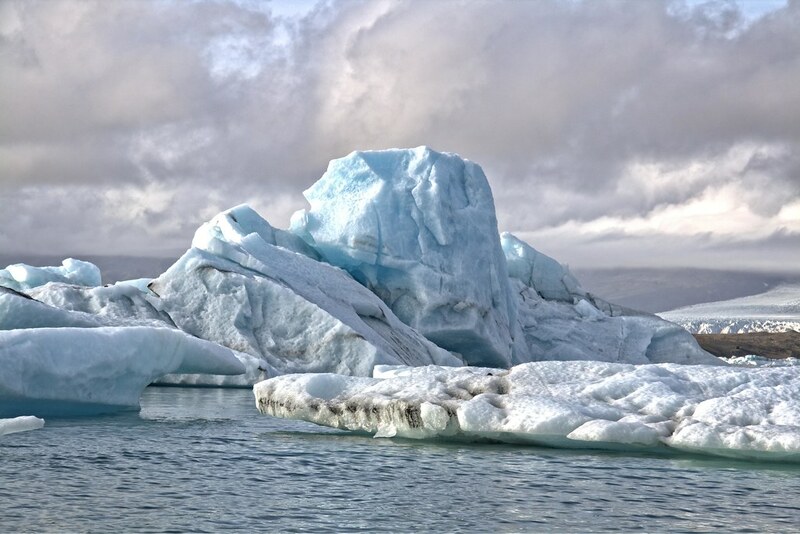 With practice, it will accomplish this task quickly and efficiently. Even if the pigeon had been able to escape, it was mortally wounded and would not have survived. Finally, the struggle came to an end. 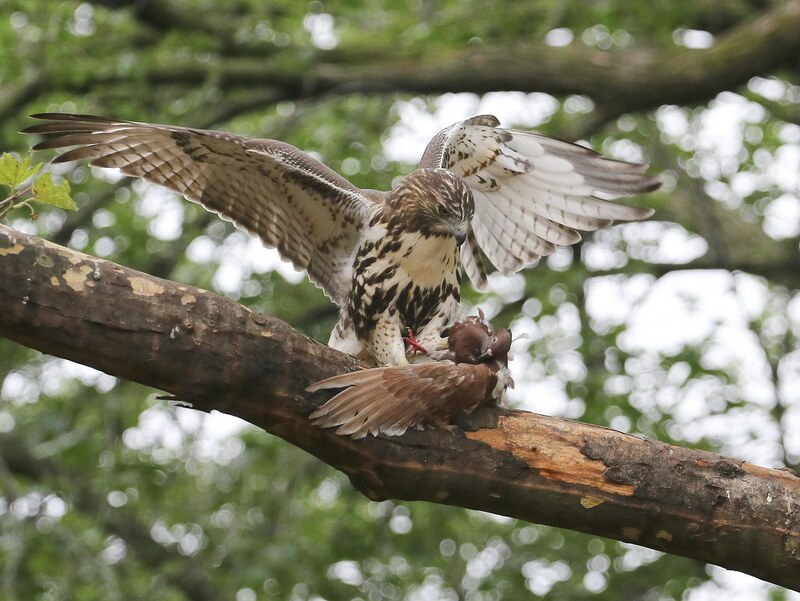 Meanwhile, the hawk's sibling flew to a nearby branch and looked on as the first hawk enjoyed its tasty meal. 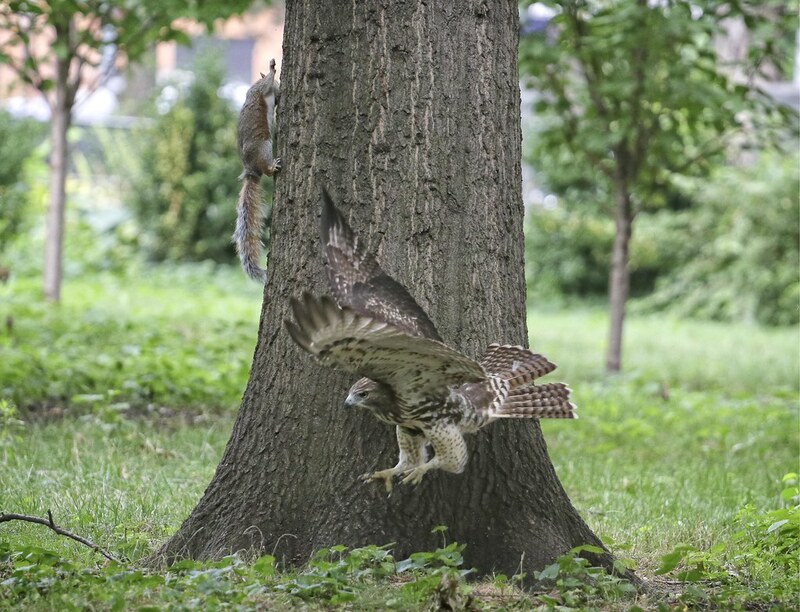 After eating a portion of the pigeon, the hawk took the remains to the big elm tree just north of the chess tables. The sibling followed, still watching intently. 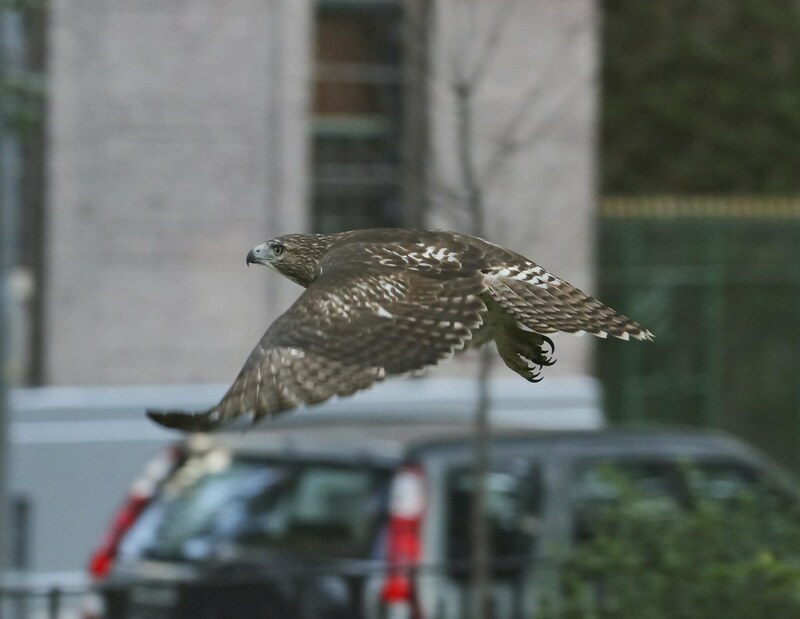 Suddenly, the second hawk swooped down and stole the pigeon! 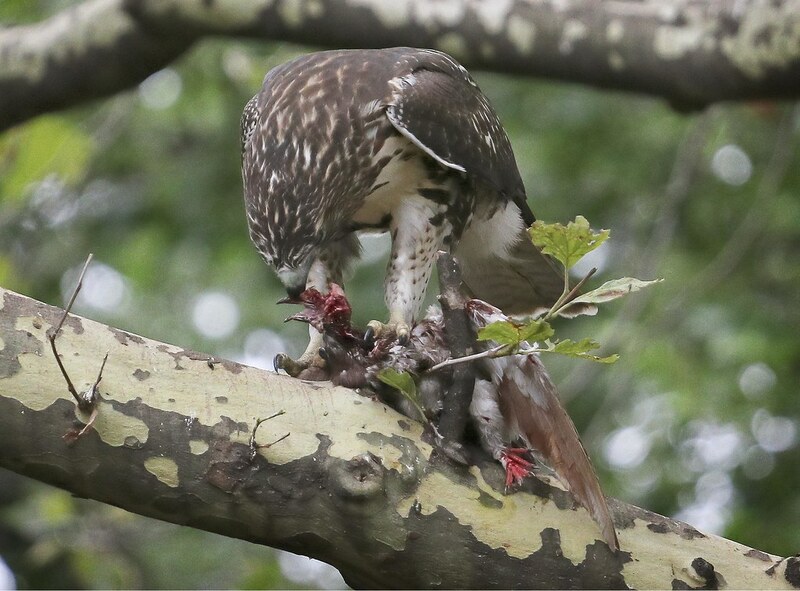 The first hawk jumped back as the second hawk flew in front of it and grabbed dinner right off the branch. The thief then took its prize to the big tree west of the Temperance Fountain where it ate heartily (note the pigeon feathers on the branch below). The theft incident didn't seem all that hostile to me. 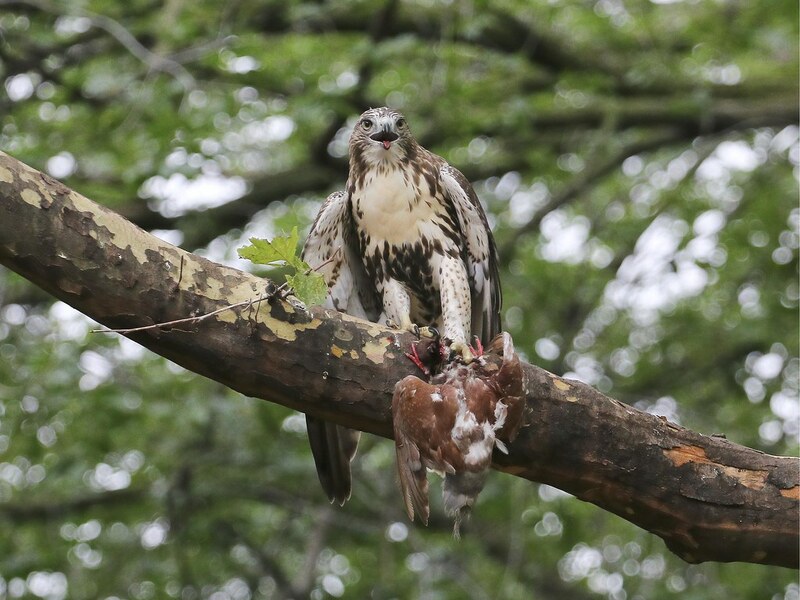 The second hawk was definitely watching its sibling eat and probably just saw it as another food provider. Why catch prey when brother/sister can do all the work? 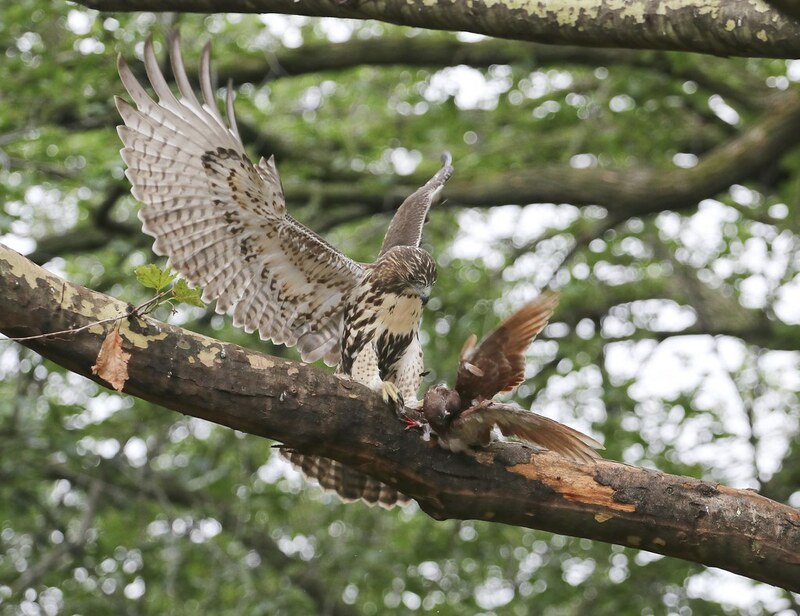 When the food was stolen, the first hawk didn't seem particularly upset. It cleaned its beak, called a couple of times, then chased the thief to the big tree, but didn't pursue the matter after that. I guess it had enough to eat. The whole sequence was fascinating to watch and I'm happy to finally see at least one of the kids feeding themselves. Urban Hawks has some video of all the action here. 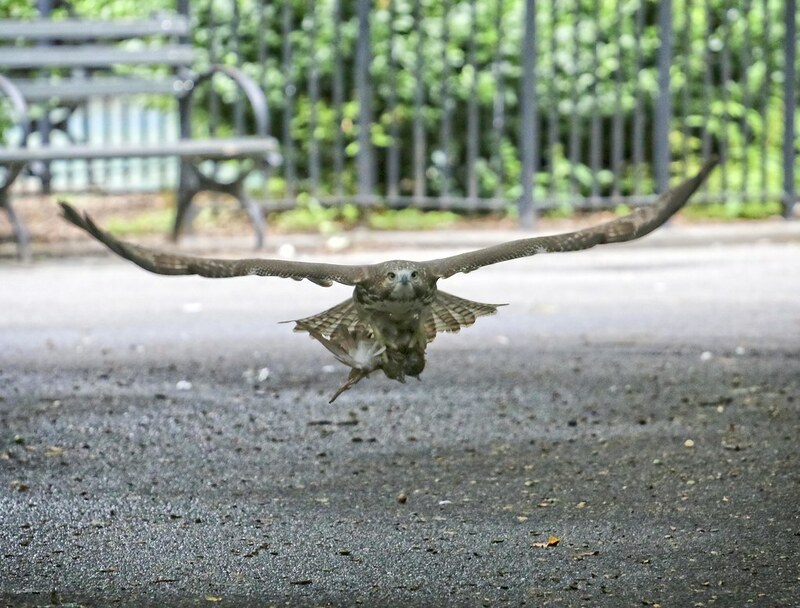 If practice makes perfect, then the Tompkins Square hawk kids will some day be expert squirrel catchers, just like their dad. 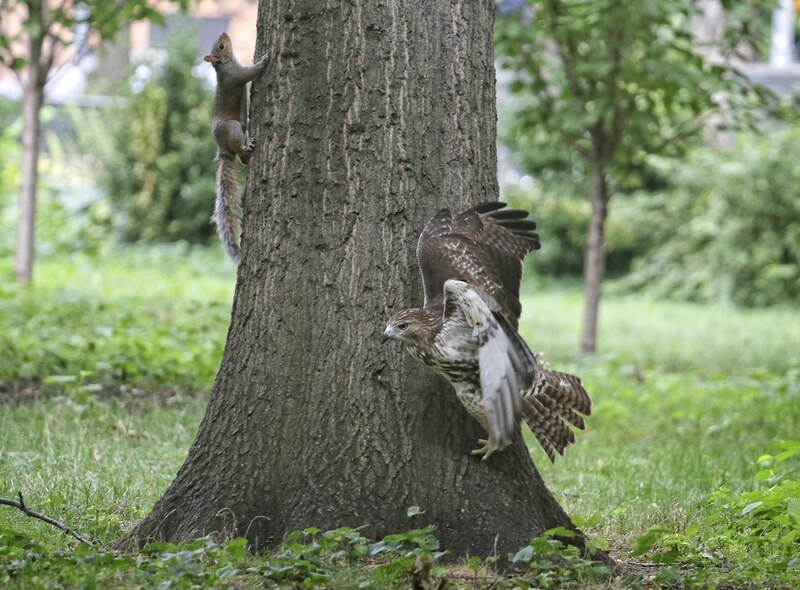 The two fledglings that are still in the park have been intent on catching squirrels. 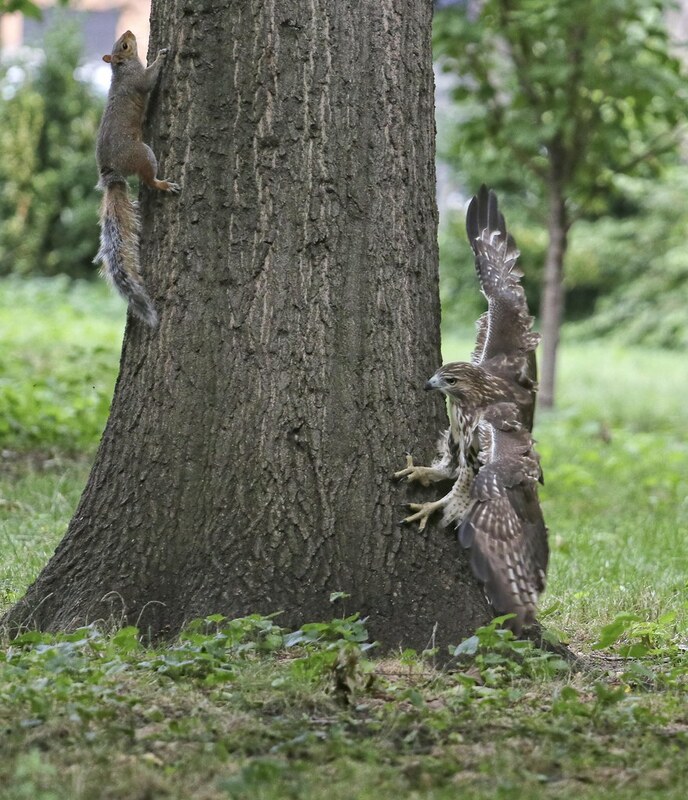 So far, the squirrels have out-maneuvered them, but the hawks are learning. 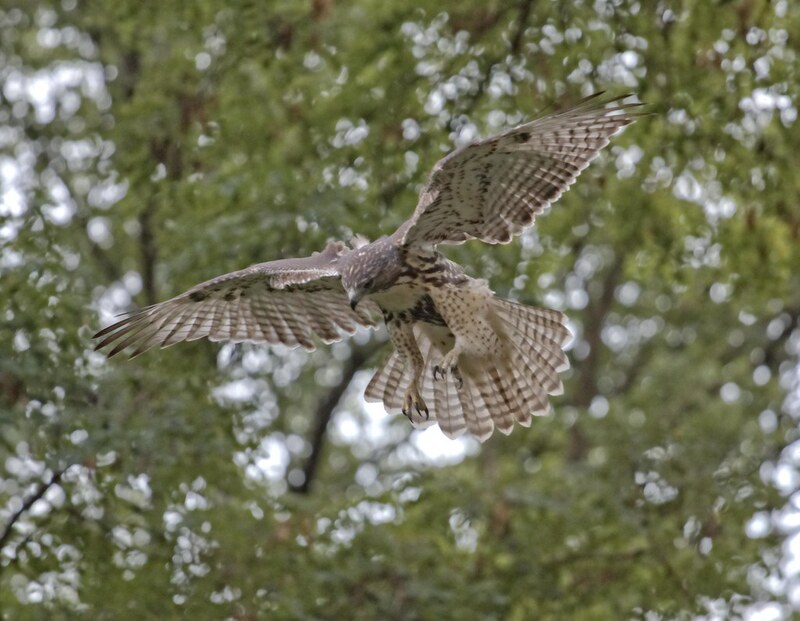 On Sunday, the fledgling below made several swoops at squirrels and gave chase on the ground on the eastern side of the park. 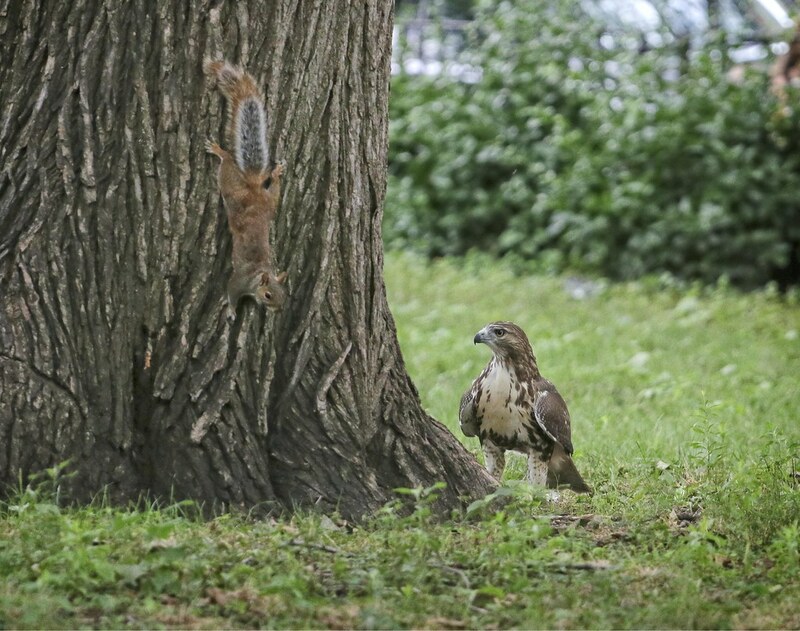 The squirrels are very territorial and will defend their trees, especially against the young hawks, who aren't quite skilled enough yet to nab them. 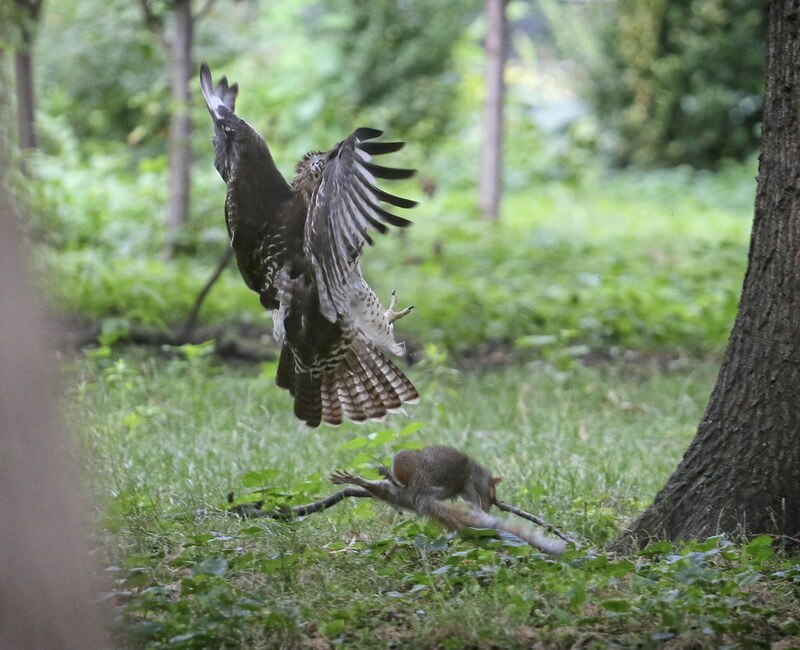 But, you can see here the hawk has taken its eyes off the prize. 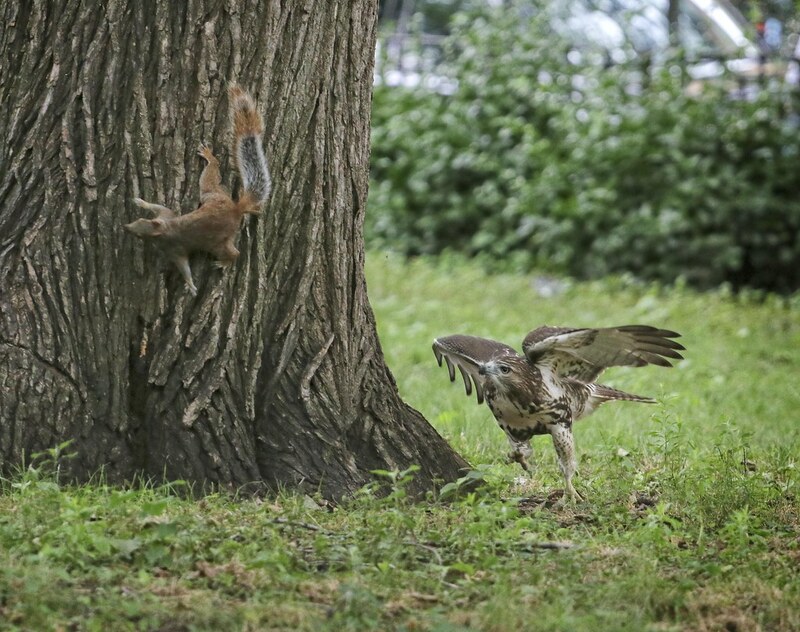 And here, the hawk is moving in the wrong direction. But wait! 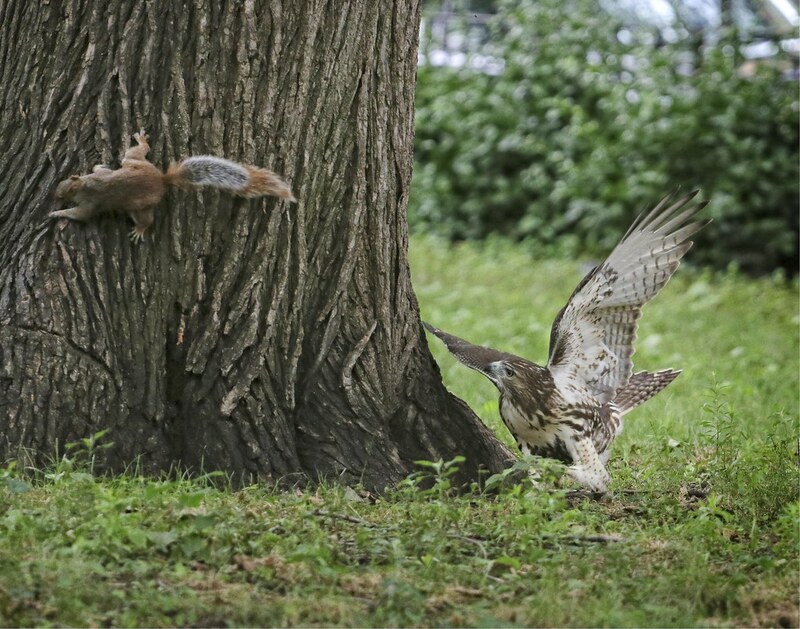 One mistake by the squirrel and it ends up falling and doing a back flip over the stick on the ground. 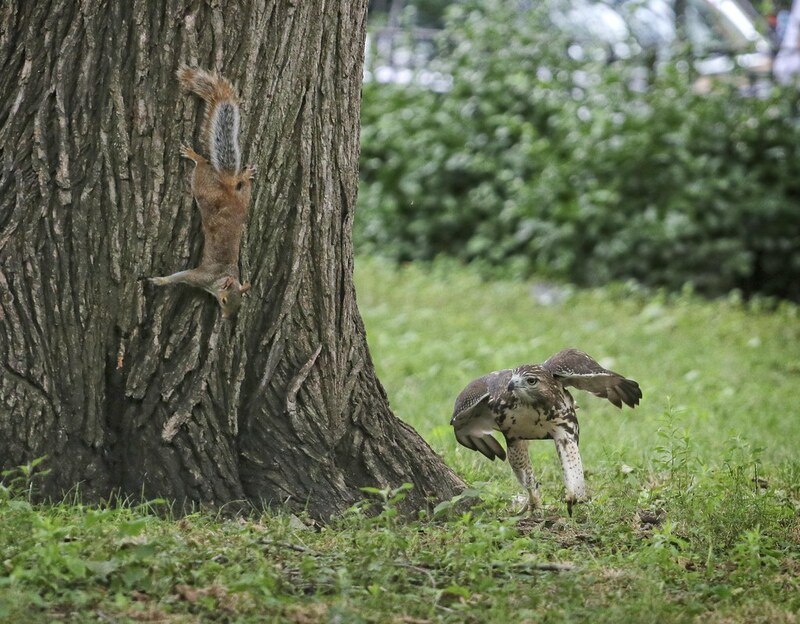 The quick and limber squirrel manages to evade the hawk and lives to see another day.